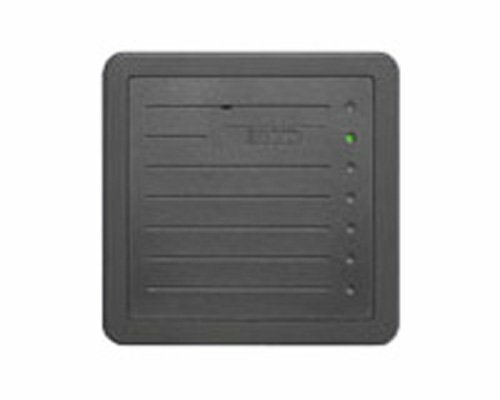 HID Corporation ProxPro proximity card reader's weatherproof design and architecturally attractive enclosure allows easy mounting indoors or out. The ProxPro reader is ideal for applications requiring a larger read range. Affords high reliability, consistent read range characteristics, and low power consumption in a single, easy-to-install package. Features multicolor LED, internal or host control of the LED, and/or beeper and a beeper "off" switch for silent operation. Provides wiegand protocol interface compatibility with all standard access control systems. Offers an optional, fully integrated personal identification number keypad for heightened security. Can be mounted to glass (using the optional glass mounting kit). 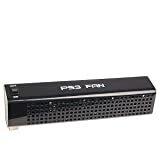 Power supply: 10-28.5 VDC; linear power supplies recommended. Reverse voltage protection included. Current requirements: average: 100 mA (12 VDC), peak: 120 mA (24 VDC). Operating temperature: -22 degree F to 150 degree F (-30 degree C to 65 degree C). Operating humidity: 0-95 percent relative humidity non-condensing. Cable distance: wiegand or clock and data interface: 500-feet (152 meter), RS-232 interface: 50-feet (15 meter), RS-422 interface: 4000-feet (1219 meter).